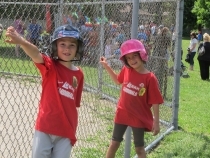 Make a difference in the lives of our little leaguers by COACHING one of our Blastball or T-Ball teams this season. Check YES! when filling out your child's registration and help drive your child's team into fun, fitness and fabulous memories. We are also looking for parent and student volunteers to help out with the end of season BBQ and Family Day. Help us hit this event out of the park by volunteering an hour or two of your time on this day. Please contact our office or speak to one of our board members. Consider offering your help to the coach. Occasionally assisting with warm up and coaching kids at first and third bases are just a couple of ways you can help your child, and his/her team, succeed. 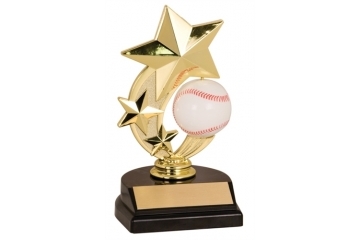 ... that every FHTBA registered player receives a hat, shirt, an individual and team photo, as well as a year end trophy as part of their participation? ALL of this is included with the registration fee. This year's FUN DAY is scheduled for Saturday, June 15th so mark your calendars. Come out for a day of FREE fun: bouncy castles, face painting, balloon animals and friends! Also enjoy a free BBQ lunch. It's an end of season wrap up you don't want to miss! Welcome to Forest Hill T-Ball! I would like to welcome you to Forest Hill T-Ball. This promises to be another great season. This year we have changed our Blastball Schedule, children will play Monday/Wednesday or Tuesday/Thursday. We have eliminated Saturday games for blastball. We have changed our Junior T-ball schedule. This season Junior T-ball will run Tuesday/Thursday, eliminating Monday games, therefore not conflicting with Blastball for parents that have players in both. I am proud and honored to continue the role of President for this upcoming season as we work to make this a memorable one for all. I want to thank our amazing Board of Directors for their help and support. The Association could not run without the loyal help of all of our volunteers. Thank you in advance to all the parents that will coach. We couldn’t play T-ball without you! To the players; have a great season learning and improving your baseball skills, making new friends and having fun! On behalf of the Board of Directors at FHTBA, we hope you enjoy the 2019 season! Sponsoring a team is a great way to promote your business while helping youngsters keep active. Your business name and logo will be printed on the team shirt, which the kids will wear for each and every game, and beyond. As a sponsor you will also receive a team photo at the end of our season. For more information and pricing, please contact one of our board members.